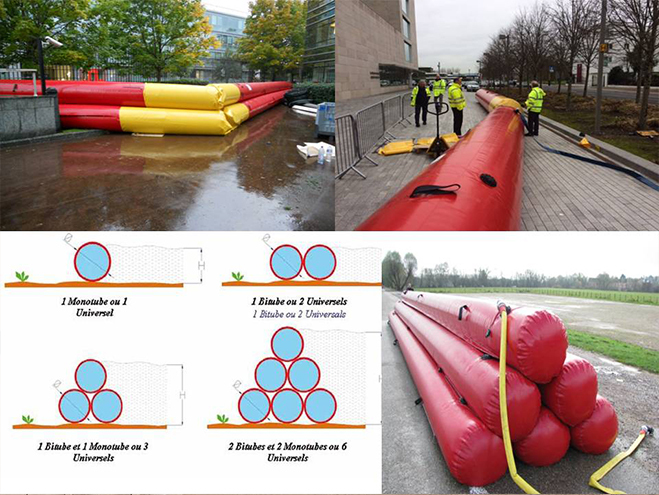 WATER RAILS ® is a modular, versatile flood dike usable for water levels ranging from 30 cm to 2 metres, over an unlimited length. 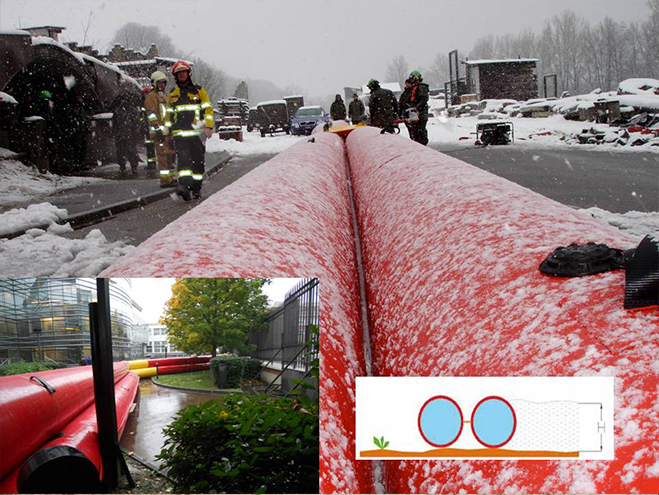 Quick to implement, WATER RAILS ® ensures protection against the flooding of roads, industrial sites, historic or strategic. They are implemented by pre-inflating them with air using the thermic air blower. 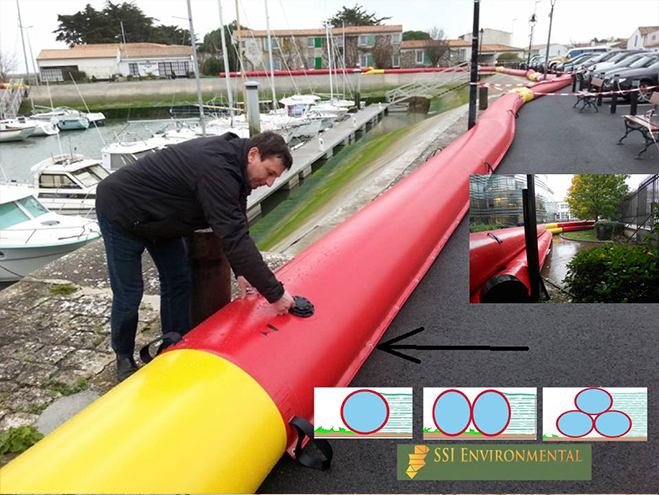 Inflation allows easy handling of the flood barrier and gives it an optimal shape to increase its effectiveness. WATER RAILS ® is then filled with water using one or more pumps depending on the lengths of the tubes. When the tube is filling with water, it retains its cylindrical shape, the air being expelled by the water entering, thanks to an overpressure kit (supplied). The basic element is easily handled by two people. Compact, it can be easily stored. To easily cope with an emergency and for rapid implementation, we offer a full range of accessories for installation, use and storage of our flood dike.